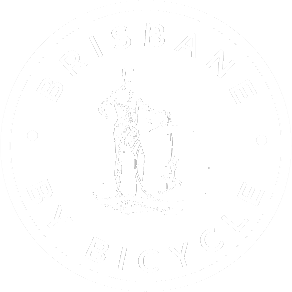 If you are looking for things to do and see in Brisbane, come and join us on a fun, easy paced bike tour and discover Brisbane from a local’s perspective. 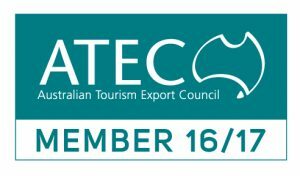 Our tours are fully guided by a Brisbane local with extensive knowledge of the city and combine historical sites and cultural attractions with a true insider’s guide to local bars, dining options, events and attractions. 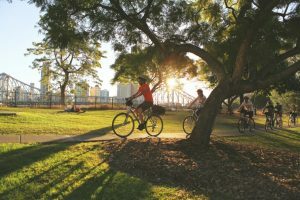 There is really no better way to see the sights of Brisbane than by Bicycle with a local guide. 3.5 hours. Our most popular and most highly recommended tour. Even if you only have a little cycling experience we strongly recommend this tour. 2 hours. 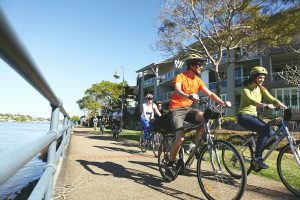 A short afternoon tour of the Brisbane City area conducted solely on bicycle paths at a gentle pace suitable for everyone. 2 hours. Operates November – February. Explore Brisbane at twilight. 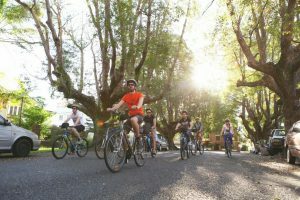 Conducted solely on bicycle paths at a gentle pace suitable for everyone. 4 hours. Evening bike ride to Eat Street Markets with time to explore the food, drink and entertainment options.Return by River Cruise Friday & Saturday only.